I just wanted to change his face-up, but I ended up modding the whole face...not sure about how it came up but it did. Now I have the rest of his little chubby body to paint. 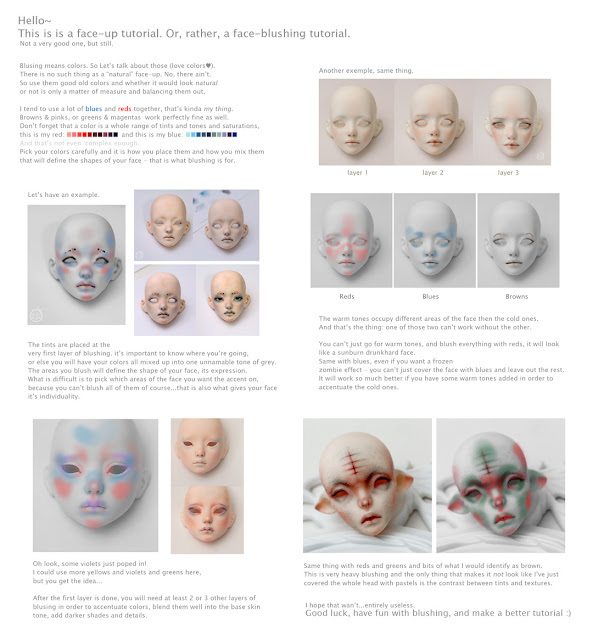 I happened to put together something that looks like a face-blushing tutorial. I'm done with the body carvings, woot. 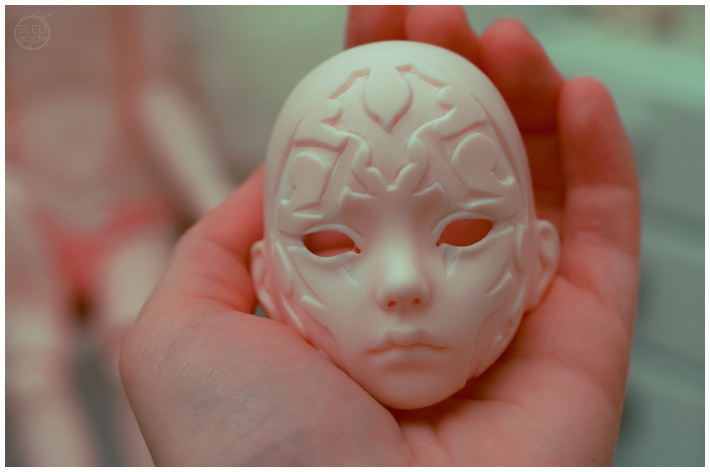 Still need to paint those and re-paint the face too.